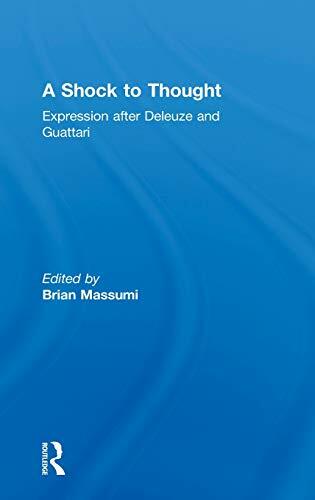 A Shock to Thought brings together essays that explore Deleuze and Guattari's philosophy of expression in a number of contemporary contexts. It will be of interest to all those in philosophy, cultural studies and art theory. The volume also contains an interview with Guattari which clearly restates the 'aesthetic paradigm' that organizes both his and Deleuze's work. 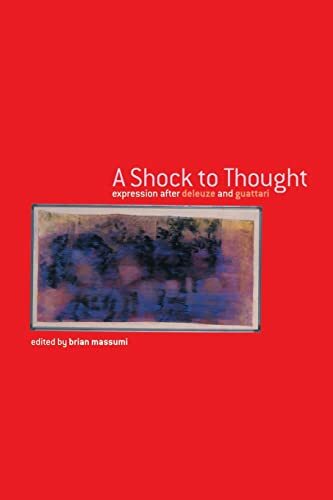 Brian Massumi is in the Department of English at the State University of New York at Albany. He is best known as the translator of Deleuze and Guattari's A Thousand Plateaus and author of The User's Guide to Capitalism and Schizophrenia: Deviations from Deleuze and Guattari.